Visionary Swedish metallers SOILWORK announce 2019 Australian tour in promotion of their eleventh studio album. 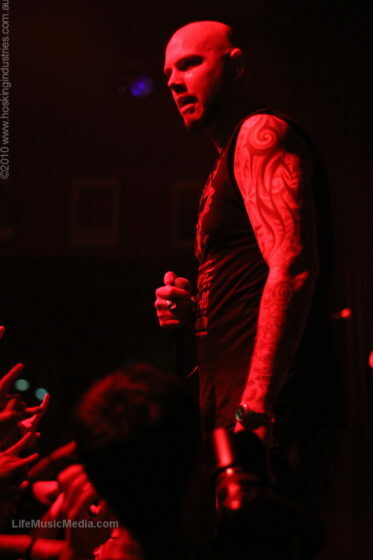 Soilwork launched their Australian tour in Brisbane last night at the HiFi bar in Westend. As you would expect, a sea of people clad in black were waiting to welcome this fine melodic death metal band from Sweden. 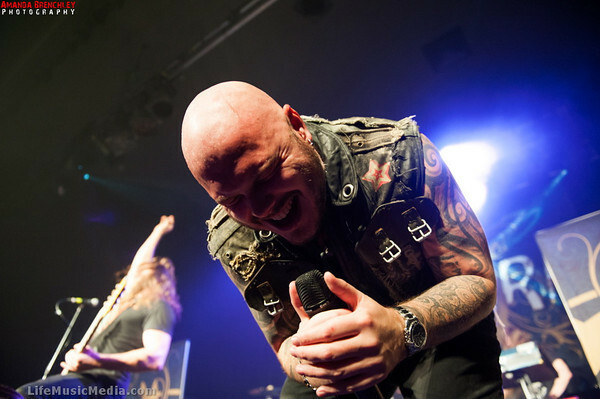 Soilwork are in Australia promoting their recent double album The Living Infinite. This high energy album has sold very well around the country and is a personal favourite of mine. As the band entered the stage a roar went up in the crowd letting them know of the anticipation we all felt. The band looked very happy to back on our shores after a three year absence. The show got underway revealing that these guys love performing and have awesome stage presence and connection with the audience. Everything looked great, the lighting, the artwork, the band members, but the sound was very disappointing. I was so excited about hearing songs from their new album live but was just devastated that the guitars were so soft in the mix and that everything but the drums seemed to get lost in the wall of noise. What was especially frustrating was that I could see the guitar solos being played with enthusiasm and style by Sylvain Coudret and David Andersson, but I just could not hear them. – Soilwork Helsingborg? Where the Helsingborg is that? Turns out this Swedish town is the fertile ground where Soilwork first plied their craft. 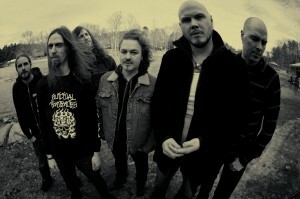 Soilwork (both the name and the band’s philosophy) represents commitment and determination. Building from the roots of things and seeing them through to fruition via a lot of hard work. More of a biologically based metaphor than the grave digging that initially came to mind when the name ‘Soilwork’ is heard in connection with the words ‘death metal’. experience in song craft, especially from singer and founding member Bjorn ‘Speed’ Strid. The good shows and good news keeps on rolling in the Voyager camp this month…on all local, national and international fronts! In exciting breaking news, Voyager have just been announced for the world renowned Prog Power USA 2011 in Atlanta, Georgia! Our very own Voyager will be sharing the stage with the likes of…Creations End, Sanctuary, Mob Rules, Haken, Dream Evil & Therion. Formed amongst the heady days of the Gothenburg death metal scene in Sweden in 1995, Soilwork quickly became known as one of the most original and progressive bands in the genre. Their prolific work ethic has seen them release eight studio albums and tour the world relentlessly over the last 15 years. Their new album, ‘The Panic Broadcast’ continues to develop on their progressive talents by including elements of funk, pop rock and symphonic genres; yet the music never fails to pummel with sonic brutality. 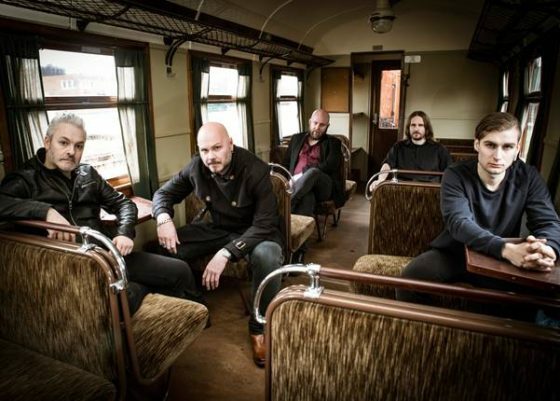 Ben Hosking talks with Soilwork founder member and singer Bjorn ‘Speed’ Strid about their new album, influences, the 1990s Gothenburg scene, working with Devin Townsend, Bjorn’s 1970s rock side project ‘Night Flight Orchestra’ and much more. – The Panic Broadcast (Exclusive Bonus Version) – Soilwork Sweden’s melodic death metal masters Soilwork will be ripping up Aussie shores for only the third time in October this year. 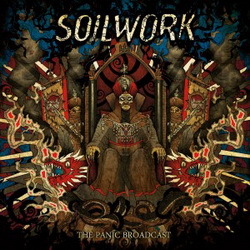 Touring on the back of the release of their eighth studio album, The Panic Broadcast, which drummer Dirk Verbeuren has described as “the true musical path of Soilwork”, the band will be bringing their killer live shows that The Metal Observer have dubbed “Metal with the fun factor in the driving seat”.